This was a particularly fun build to work on. Bill got his hands on a nice piece of Honduran Mahogany, and was able to get several sets out of it. It has a beautiful "ambient" figuring, and looks a bit like light through water. 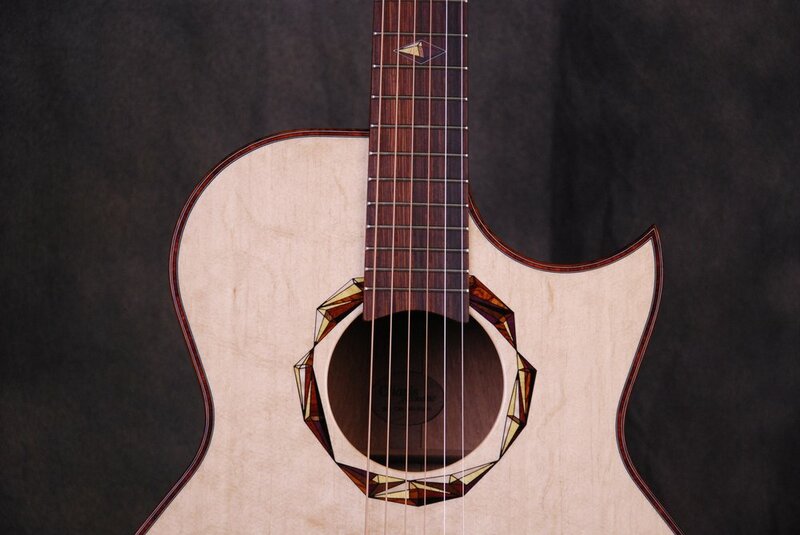 We wanted to do something other than the typical back stripe, so decided to do a small inlay. To get the feel of something both geometric and organic, I drew the shapes roughly by hand, so no two pieces are the same, but it still has a semi-symmetrical, geometric feel. With the back inlay created, a standard rosette wouldn't do, so I designed a similar rosette, which ended up containing 97 individual pieces. 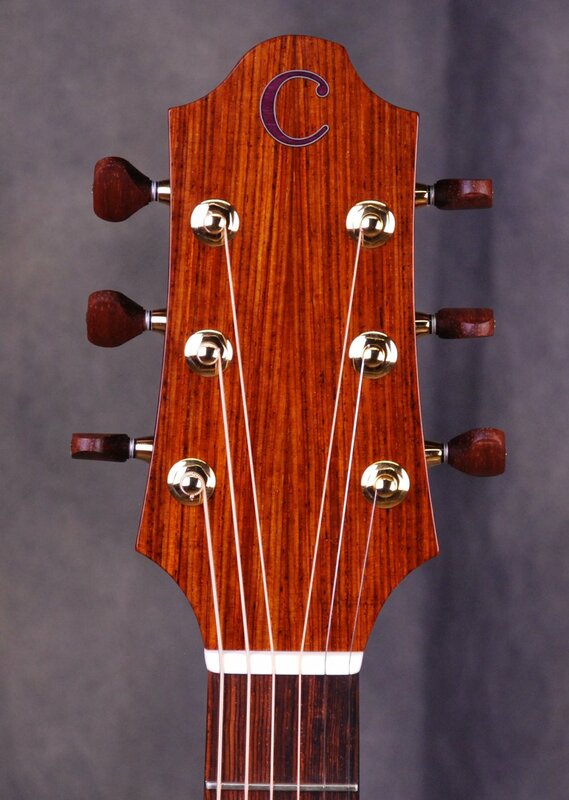 As an extra unique touch, we decided to not use any Ebony as we traditionally would, and used Cocobolo instead on the fingerboard, head plate, heel cap, bridge, and even custom bridge pins. 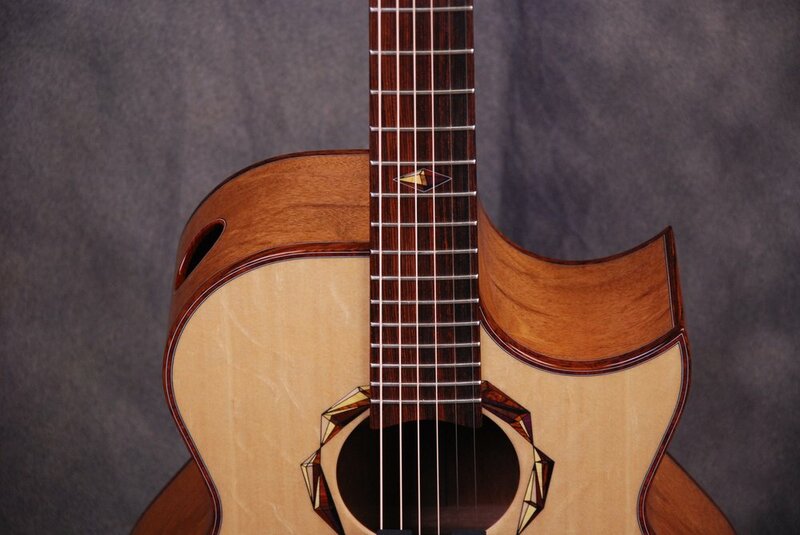 We worked hard, long days to get this guitar finished just in time for the Memphis Acoustic Guitar Festival!